Hello all! I'm so excited to announce today's FTF #7! Check out these five features! 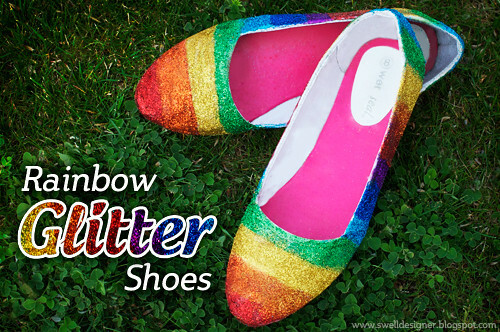 These rainbow shoes by The Swell Life are SO fun and sparkly! 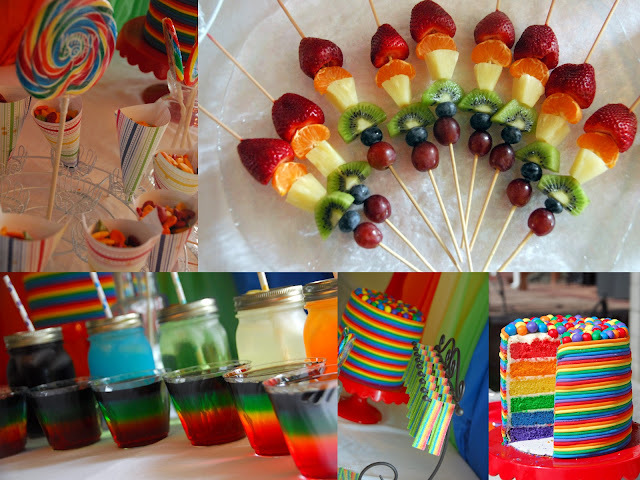 All this food from Meaningful Mama's Rainbow Party looks delicious!!! She also made a super cool rainbow cake!! 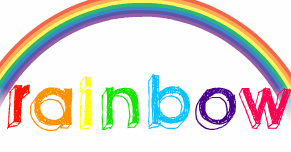 Toys In The Dryer shows you how to make rainbows on the walls, floors, ceiling, etc! Cheerios and Lattes made rainbow noodles to entertain the kiddos on a rainy day! I adore this photo! 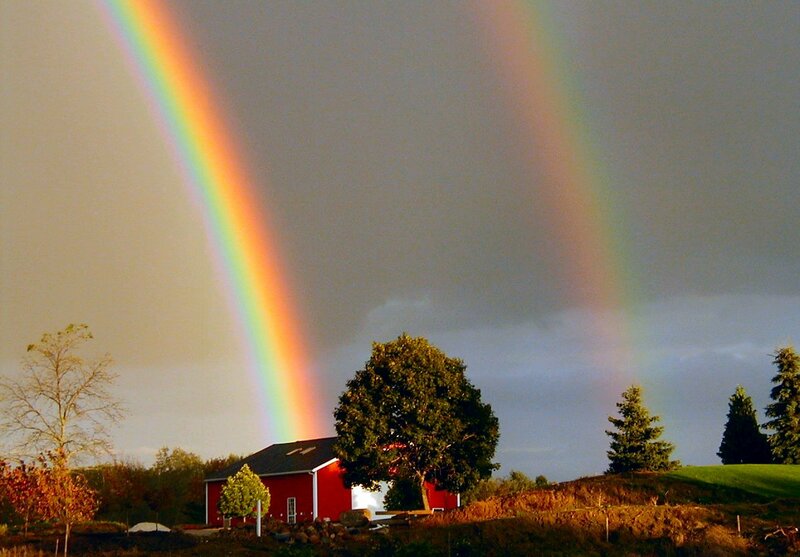 Such a beautiful landscape ties in with a double rainbow. GREAT job everyone! If you were featured, please grab my featured button! 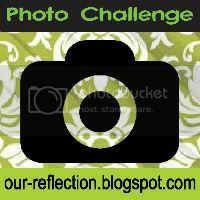 I'm also participating in Linda's photo challenge again - I won last week! 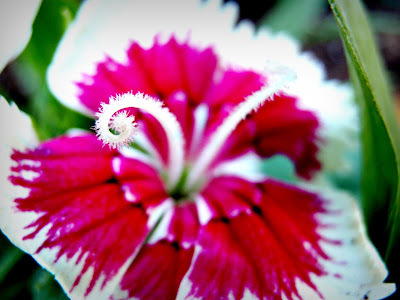 This week's theme is "Spring"
Have a fantastic Friday. Come back soon for my first giveaway!